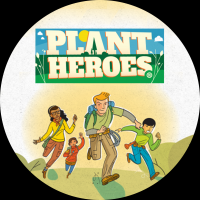 Plant Heroes field guides are brief, yet comprehensive, profiles of the life cycles, host plants, and impacts of invasive plant pests and pathogens. The pest-centric field guides are available in two formats to meet the needs of your students: an online, mobile-ready format and a downloadable, printable PDF. Plant Heroes field guides are brief, yet comprehensive, profiles of the life cycles, host plants, and impacts of invasive species "bad guys". The pest-centric field guides are available in two formats to meet the needs of your students: an online, mobile-ready format and a downloadable, printable PDF. Click on the thumbnail below to check out the Coconut Rhinoceros Beetle field guide!